A healthy life is not possible without a healthy and balanced diet. Our diet and nutrition seems to affect our health in many ways. A diet consisting of fresh vegetable and fruits can keep you away from many life threatening diseases. But the life is so busy that we do not have to look over our diet. To save our time and energy we go for the readymade, prepared ad processed foods. But it is an ugly truth that these chemically altered foods can shorten your life span by promoting fatal diseases like heart attack, angina, stroke, diabetes and cancers. The sight of a pizza with a rich cheese topping might be very tempting and mouth watering. It's too difficult to resist cheesy and creamy foods because we’re all addicted to them. But we should know that eating too much fatty foods like cheese, butter, cream, dairy products, sausages, and ice cream can be harmful for health. All these foods contain saturated fats in them that pose a high risk to our health. Fats are required for carrying out various critical functions in the body like the synthesis of cell membranes, hormone synthesis, insulation of nerves and eyesight development. But even the fats are of two types; saturated or unhealthy fats and unsaturated or healthy fats. These are actually the unsaturated fats, not the saturated ones, which are more essential for maintaining the functions of the body. Contrary to this, the excess of saturated fats in the body does more harm than good. Saturated fats are the solid fats and they are chiefly found in the animal food sources. These fats are considered as the culprits because they tend to elevate the cholesterol level in the body. But how do they raise the cholesterol level? The reason is very simple behind this. When saturated fats are metabolized by the body, they are converted to a compound called acetyl CoA. This acetyl CoA is the main precursor in the synthesis of cholesterol. This means the higher the intake of saturated fats, the higher will be the level of cholesterol in the body. This cholesterol clogs the blood vessels and increases the risk of heart diseases, strokes and diabetes. Apart from elevating the cholesterol level, the excess saturated fats are stored in the fat tissues of the body that can make you obese. All these conditions can reduce the life span of a person by gradually deteriorating the normal health. Red meat is a wonderful source of protein. But the excess of everything is bad. Eating too much red meat carries many health risks. Red meat is enriched with saturated fats and cholesterol. Saturated fats tend to increase the production of bad cholesterol or LDL (low densitylipoproteins). This LDL cholesterol is very bad for health because it adheres to the blood vessels walls and forms cholesterol plaque, which occludes the blood supply. That is why meat lover people are more likely to suffer from cardiovascular diseases and strokes. Especially the grilled meat should be avoided because such meat contains carcinogenic amine compounds that are associated with pancreatic cancers. Muffins, cup cakes, crackers, chips, doughnuts, pastries and many other bakery products are getting very common in use. But unfortunately we are unaware of their health hazards. The way these foods are manufactured is so unhealthy. These bakery products are rich in Trans fats. Trans fats are derived from the chemical modification or hydrogenation of liquid oil. These Trans fats have the ability to stay solid at room temperature and resist spoiling. That is why these Trans fats are used in the preparation of many bakery products so, the products can be stored for a longer period of time. But these Trans fats are highly damaging to the health because researchers have found them to be associated with morbid condition like cardiovascular diseases, strokes, cancers and type II diabetes. The upper safe limit of the daily intake of these Trans fats is 1 to 2 grams. 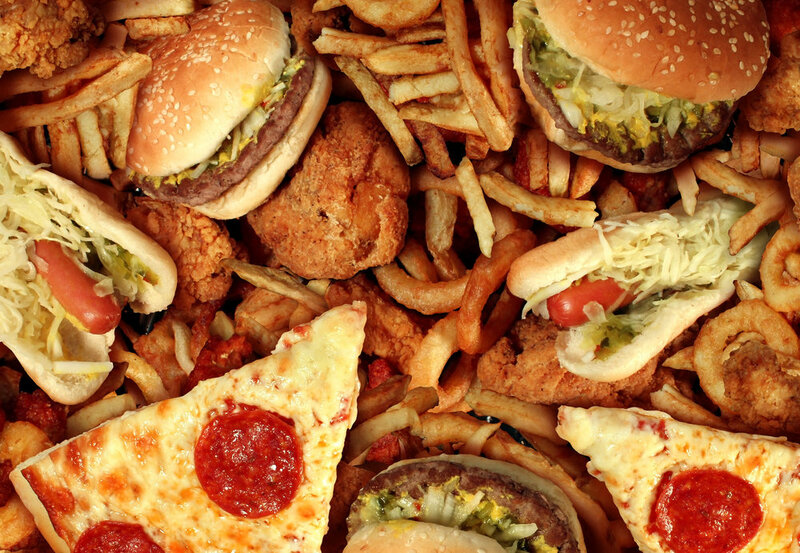 Eating more than this limit can leave you at the risk of premature death. To save our time in this busy and haphazard life we prefer readymade foods over cooking. This is the reason we are relying too much on processed foods like snacks, cookies, frozen foods, canned pastas and noodles without knowing that these unhealthy foods pose a great threat to our life. The processed foods are chemically altered food. A lot of preservatives and Trans fats are added to them to prevent them from rotting. But unfortunately these foods can produce havoc in your life. These Trans fats are highly toxic because they raise the level of LDL (low density lipoproteins) or bad cholesterol in the body. LDL molecules cause inflammation of the blood vessels walls and stick to them. With the passage of time, more cholesterol particles are attracted towards this site and clump together to form an atherosclerotic plaque. These plaques are usually formed in the blood vessels of heart, obstructing the blood supply to heart tissues. That is why the overconsumption of these processed foods for a long period of time increases the incidence of heart attacks, angina, strokes and insulin resistance. Beware; sugar is your biggest enemy. It is more like a sweet poison that can gradually deteriorate your health. Obviously you cannot eliminate the sugar from your diet but at least you can limit its consumption. Almost all the processed foods, bakery products, cookies, pastries, cakes and beverages contain added sugars. High sugar intake causes a spike in glucose level in blood. To keep the glucose level down, insulin production is increased. But too much consumption of sugars in diet can keep the glucose level constantly raised until a time comes when insulin fails to lower down the glucose. Insulin tries to push the extra glucose into body tissues in order to metabolize them but the tissue become non responding to the insulin, ultimately leading to high blood glucose level. Thus, people who over consume sugars are more likely to develop insulin resistance or Type 2 diabetes. Type 2 diabetes is silent killer as it slowly damages your health and results in many other complications like heart attack and strokes. Many people use artificial sweeteners as an alternative to sugar thinking that they won’t gain weight in this sway. But we are unaware of the bitter reality that these artificial sweeteners are worse than sugars. Artificial sweeteners like aspartame, sucralose and saccharin contain certain toxic compounds that prominently increase the risks of fatal brain tumors and seizures. Fried foods like French fries are very popular worldwide, especially among the children. These crispy and spicy French fries seem so tasty and yummy, but they are going to satisfy your tummy only at the cost of your precious health. Do you think that the fries you are eating are full of healthy nutrients? No, certainly not. These tasty looking French fries are nothing else but a wholesome of fats. Deep frying does not mean you are adding extra nutritional value to your food, but in fact you are doubling its calorie content. The oils used for frying foods are usually hydrogenated oil that contains a lot of Trans fats or unhealthy fats. The more time it takes to fry the food, the more it will absorb the Trans fats and extra calories. Eating the fried foods will lead to two possibilities. The Extra calories will make you obese, while Trans fats will increase the risks of heart diseases and strokes. Trans fats are notorious for your heart’s health because they increase the cholesterol production in the body. The cholesterol molecules stick to the blood vessels that supply the heart, causing their blockage. Thus, heart diseases might be the cause of premature death in people who consume too much fried food daily. You might be fond of fast food but this fact will give you a chill that the trend of eating fast food is the most prevalent cause of premature deaths in western countries. Studies show that most of the children who eat a lot of fast food are obese or overweight. Being obese in childhood is a very alarming situation. Such children are more prone to heart diseases and Type II diabetes that can lead them to premature morbidity. Fast foods have no nutritional value. They contain empty calories, saturated fats and added sugars. Eating these fats foods does no good but in turn will make you obese. The sugars and extra calories will raise the glucose level in blood. To metabolize this glucose more and more insulin is produced. But a time will come when the body tissues stop responding to the insulin, leading to insulin resistance. The outcome of this will be high glucose level in blood that can affect the functioning of many vital organs like kidneys, eyes and brain. On the other hand, the high saturated fat content in fast foods may leave you at the risk of heart attack by elevating the bad cholesterol level. Stop drinking soda and soft drink because they can kill you or can make your life a living hell. Soda drinks are stuffed with added sugars, calories and chemical preservatives. Even one beverage per day can make you more prone to the heart attacks, strokes and diabetes. Drinking soft drinks and beverages keeps your blood sugar level high. If the blood sugar level remains persistently high it may lead you to diabetes and obesity. High sugar level can not only make you diabetic but it can also cause complications like heart attack and stroke because the extra sugars are converted to fats which make clots in the blood vessels. Refined white flour is the key ingredient of many foods like white bread, pastas, cookies and crackers. Consumption of this refined white flour is associated with high prevalence of heart disease, strokes, insulin resistance, obesity and diabetes. In contrast to whole grains, these refined grains contain simple carbohydrates that are absorbed very quickly into the blood, causing a spike in blood glucose and insulin. It becomes impossible for insulin to handle too much glucose so the insulin starts storing the excess glucose in the form of fats. The deposition of extra fats means you are getting obese. Along with making you obese, these excess fats can block up your arteries that invites heart diseases and strokes to come and attack you. Food colors or dyes are added to a variety of foods just to make them tempting and delicious looking. But like other food preservatives, the food dyes and colors are deadly for the health. These foods colors are toxic chemicals as they can damage the brain cell and can cause the tumors of adrenal, kidneys and bladder. Nutritionists consider canned soups, spaghetti and noodles your worst enemy. The reason is these canned or prepared foods contain a very high quantity of sodium in them. Salt or sodium intake, more than the daily recommended amount, can prove to be very fatal for health. When you eat more salty foods, the concentration of sodium is raised in blood. To compensate this, your body starts retaining excess fluid or water. When excess fluid in retained, the total blood volume increases. Now that high volume blood puts more pressure on the blood vessels that leads to high blood pressure or hypertension. For those who eat a lot of salt containing foods, consuming too much salt daily keeps your blood pressure always high that can result in fatal consequences like heart failure and strokes. Alcohol is the most notorious among all the unhealthy foods because it can rapidly devastate your health within no time. 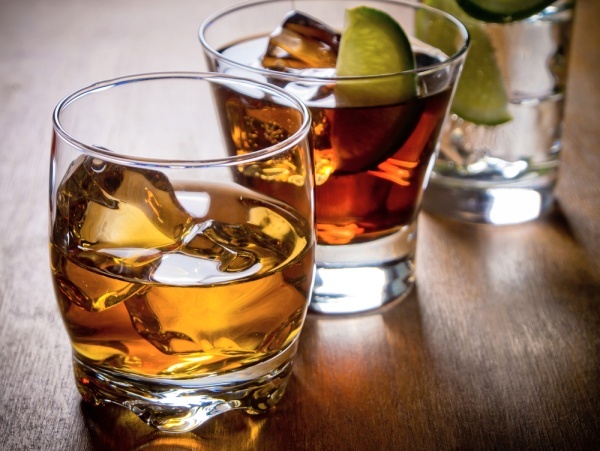 Even very young people who drink alcohol are at the risk of premature death. Alcohol mainly damages the liver, the most important organ of the body that regulates metabolic processes and many other critical functions. You cannot even think to survive if your liver is not in healthy state. Alcohol interferes with fat metabolism in liver making it difficult to expel out the extra fat molecules from liver. As a result, the fats start accumulating in the liver leading to a fatty change that causes the death of healthy liver cells. 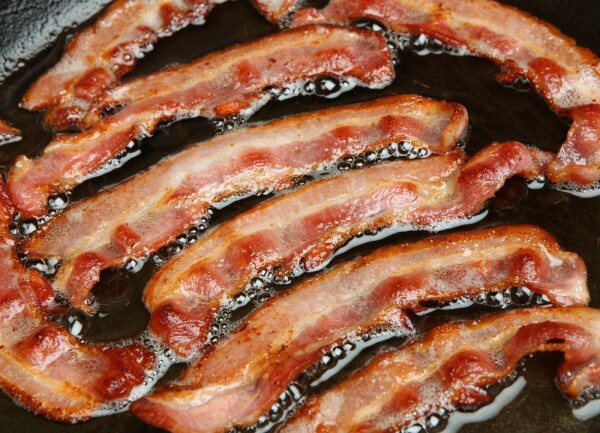 Processed meat items like bacons, hot dogs and sausages are in trend these days. But this processed meat contains many preservative like sodium nitrate and sodium nitrite that are not suitable for our health. These preservatives were found to be associated with risks of hypertension and strokes because they cause the hardening and stiffening of blood vessels. Like this, the sodium nitrate and nitrite preservatives significantly increase the risks of colon and pancreatic cancers. Microwave popcorns are so cheap, handy and easy to cook. You just put a popcorn bag in a microwave and within 2 minutes tasty popcorn are ready. But stop here. Do you know that popcorn you are eating can give you cancer? Actually the fault is in the packaging of these popcorns. To keep them preserved the popcorn bag contains preservative and artificial flavors called “perflourooctanoic” and “diacetyl” which are very fatal carcinogens. These carcinogens can cause lung, pancreatic and testicular tumors.